Affiliate review sites are typically very focused sites that exist for the purpose of promoting a product. They are usually 10 pages or less of a product review, and a additional bits of supporting content. It usually link back to a main page. Also, one of the most important things you can do as an affiliate is to build a list. When you build a list that is very targeted to the types of things you promote, you can make sales just by sending a simple email. If you focus on building a list via your website and build your list up over time, you can absolutely earn a full-time income as an affiliate… as long as you are in a profitable and popular niche. Let’s assume that you plan to create an affiliate review website. An affiliate review website is just what it says: It’s a website where you write reviews as an affiliate. On your affiliate review site, you will have sections where you might talk about the details of certain products: you may also talk about the pros and cons of certain products. You may compare and contrast certain products so that you can help people make informed buying decisions. You will have to go through some trial and error as you work to build your website. But, you’ll find that today’s easily accessible tools make it easier than you might be expecting. And, if you’re totally stuck and don’t want to spend any money on creating your website right now, you can go to Blogger.com (owned by Google), and build a free blog to get started with. 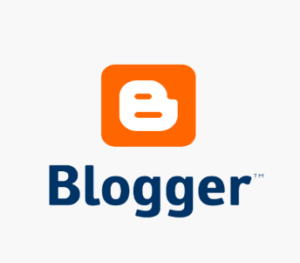 It is extremely simple to set up a blog with Blogger and there are fantastic instructions that will help you do so. We recommend that over time, and if you do have more experience with creating websites or are willing to learn, you should register your own domain name, secure your own hosting, and install the WordPress script for your website. WordPress is blogging software, but you can really turn it into anything you want it to be – including an affiliate review site. Again, there is a (small) learning curve at first, but you’ll find that WordPress is very easy to work with overall. Before you get started creating your own affiliate review website, check out what the competition is doing. Don’t let that discourage you. Do some more digging to find review websites that were created by niche focused marketers just like you. That’s something you’ll be able to more easily replicate at your current level. In some cases, you will be focusing on a very tight group of products or a very specific sub-niche. 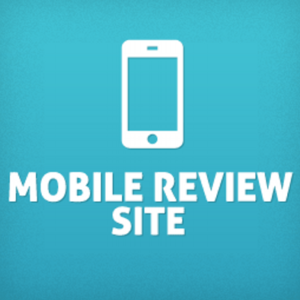 Your review website might have just 5 to 10 articles or so, in total. It depends on what’s out there on the market already and what comes out in the future. If you don’t yet, it’s time to start. You should know exactly how much you want to earn as an affiliate and by will it take to earn? By when do you want to earn $1,000 a month? By when do you want to earn $5,000 a month? That’s a number that many people equate with being a “full time” income. You actually can do it much more quickly than you think. You can promote strictly physical products. Set up a blog where you become an expert. Make your blog so interesting to the people of your niche that they’ll want to bookmark your blog, join your list, and visit it on a regular basis. You won’t be able to earn at all, if you don’t follow through. Don’t start promoting one thing only to float away and start promoting something else. Or, you might choose to stick to one niche only and branch out a bit. You can become a true heavy hitter in that niche— someone who has developed authority. Being an affiliate and a product creator can certainly help you get to a full time income. Keep in mind that you’ll get to where you want to be much more quickly if you choose to focus on building your list as an affiliate. The absolute best way to reach your income producing goals is by promoting recurring income products. 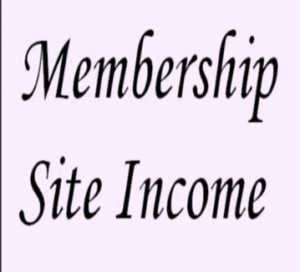 If you’re looking for an easy sell in the Internet marketing niche, our membership site The IM Inside Track is a great recurring billing service to start promoting. It’s low cost for the customer and there’s an opportunity for people to get an annual membership. You can get paid more at once, and every time those payments come through. Promote something once and get paid for it over and over again. If you put your effort into promoting products like this, there’s a chance you can work less and earn more from your efforts. Get started earning from affiliate marketing quickly by taking this seriously and coming up with a game plan. Think about everything you’ve learned and create a schedule for yourself. Follow through with that schedule and you can work your way up to a full time income. Also, remember to reference the “Millionaire Maker” module on our website for more in-depth tactics in affiliate marketing. If you want to make more money with your products and services, then you need to attract affiliates. 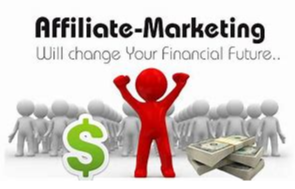 Affiliates are the lifeblood of any online business. Seriously… It’s as simple as that. You also want to be able to build your list as you market your products. But if you only have access to the same customers you’ve always had access to, then you’re stuck. Having access to the lists of affiliates can really give a great boost your business. Every time someone buys from one of your affiliates, they will also get added to your email list. It’s brilliant. It’s sort of like paid advertising but you don’t have to pay unless the affiliate performs. So there’s no risk at all. You can get tons of people working for you without paying a dime upfront. And if you have an active army of affiliates promoting for you, you can make so much more money than you could make if you’re trying to do it all on your own. The trouble is that you might not know how people can get that “special link” so they can promote your products. You might not know the first thing about that. Is it complicated? How do you even get started with something like that? It used to be very complicated. It certainly was nowhere near as easy as it is today. The good news is that it’s absolutely easy to get up and running with your own affiliate program today. There are so many different options to choose from. So we recommend that you take a look at the available options, and decide how technical you want to get. You will have to consider how you want your affiliates to be tracked across sales and products, and then consider how you want to pay them. You will find that starting your own affiliate program is one of the best choices you could make in your business. There are some things you should keep in mind that are perhaps more negative or more challenging when it comes to starting your own affiliate program. Depending on the options you go with, you may very well have to reserve the proper amount of money to pay your affiliates after a predetermined amount of time (such as after 30 days). You also have to make sure that your affiliates are promoting your products in the right way, settling disputes with affiliates should they arise, and so on. With that said, if you set yourself up in the right way, you’ll find that there are so many more benefits than there are drawbacks. To truly grow your business, buiding an affiliate following is absolutely the way to go. Take a look at the popular products in your niche that affiliates are really excited about promoting, and you will be able see what you can do to match or offer better terms with your own products and offers. Other product owners enjoy using JVZoo.com— we also have products on that platform that affiliates can promote. And in this case, affiliates can earn instant PayPal commissions. JVZoo is easier to use than most affiliate programs, though it’s not as feature-rich. Still, it integrates with your autoresponder company, allows you to auto approve affiliates you’ve come to trust, and it allows instant payment to affiliates, and more. These are certainly not the only two options. Depending on what you’re selling, there are many other platforms out there. If you’re selling physical products, then something like CJ.com or ShareASale.com might be more up your alley. 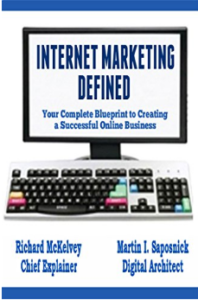 Or perhaps WarriorPlus is for you if you are selling in the Internet marketing niche. Or perhaps ClickBank.com is for you. Let it be clear that you don’t have to handle the technical aspect of this much at all. Use the tools that are available for businesses just like yours. You don’t have to reinvent the wheel. There are some that get a little more technical than others. So when we talk about starting your own affiliate marketing program, it doesn’t mean you’re going to be coding and dealing with the headaches that can come along with that. You’re simply going to be looking at the available options and choosing what will work best for you and for your affiliates. There are viable options available whether you’re technologically inclined or not. After you’ve chosen which platform you want to use for your affiliates, it’s time to recruit affiliates. Make it clear that you have some great products for them to promote and provide the tools for them to do so. Get the word out among your contacts, on social sites, business forums, and anywhere else you know interested affiliates might hang out online (and keep potentially offline affiliates in mind). Make it known that you have a great thing going on and that your affiliates can earn some excellent income with you. Consider offering recurring income products (like a membership site) that they can promote for great monthly income. Think about what would attract you as an affiliate and consider providing that to your affiliates. Really, you are (selling) promoting your products as being very beneficial to your affiliates. There are other things they can promote in the same niche – so what makes your product special? Consider setting up an email marketing list for your affiliates so you can keep up with them, and let them know when you have a new offer available for promotion. It really doesn’t take long to start your own affiliate marketing program. Once you get it started, you’ll find that it makes all the difference in amount of sales your products produce. You’ll make more sales, grow your list, and find more benefits as a product creator overall. Put it out of your mind that this has to be technical or challenging – it doesn’t. There are many more affiliate marketing platform options than mentioned here, so be sure to research what works best for you. 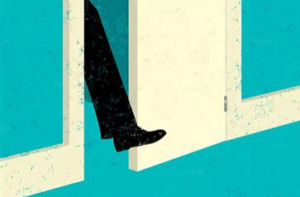 For most of our readers, go ahead with what works – and, from what you’ve just read, it works. This is a great decision that will transform your business. The first step in effective pre-selling is to build a good relationship with your list, on your social media accounts, and to your audience in general. This relationship will get people to read what you have to write. They’ll want to hear more from you because they trust and like what you have to say. This gets your foot in the door, and your content is going to do the rest on earning you the commission. Don’t be just another marketer promoting a product. It shows when you really care about your audience and know that what you’re offering really can help people. Use elements of copywriting and psychology, and your conversions will be high. Know that your pre-selling content does not have to be long. You can definitely fit most articles or emails into a 30 minute slot. Getting two of these done in one day is certainly not out of the question. It’s all in knowing how to schedule your time and plan your affiliate promotions. One of the best ways to learn how to do this is to examine the pre-selling content of others. If an affiliate sent you to buy something in the past, consider what led you to buy. If you’ve bought something from us before via an affiliate, was it the sales page or did they say something in their e-mail that convinced you? Analyze yourself on a psychological level. It can help you understand what makes people buy through your affiliate link. As an affiliate marketer, you’ll always look for ways to grow your business. Focus on growth and you can earn more and work less. Work smarter instead of harder, with these 5 simple little ways to grow your affiliate marketing business. Sometimes, people will buy things just because they really need it. Other times, people will be on the fence, and it’s up to you to push them to the other side. You also have to consider that there are many other affiliates chasing the same commissions you’re chasing. Assume that you’re promoting that parrot training product. Guess what? ……So are marketers B and C. B doesn’t pay attention to the community, and his reviews are really impersonal, so he’s not a worry. But C does a great job at being part of the community and her reviews are really outstanding. How can you stand apart from marketer C and get the commission when someone happens across both of your communities or pages? On solution for you is to offer some kind of killer, related bonus. For example, you could interview a top parrot training expert and offer a related download to anyone who buys through your link. You could offer personal email help for anyone struggling. Make it a really great offer that adds so much value that they’ll never give marketer C more than a passing glance. You’ll win the commission and be wealthier for it. People love getting bonuses, so it’s definitely a win-win. Implement one new thing here. another new thing there, and test the results. You might be surprised about what does work and what doesn’t work. Once you have the resources, you’ll want to start buying the products you’re reviewing. You can often get the information you need to write a great review on the web, but it can make a big difference if you’re posting your hands-on experience and have your own pictures to back it up. If you become popular enough, you’ll start to have things sent to you for free, which is definitely a nice perk. Don’t get lazy with your affiliate marketing business. That’s what it is– a business. It’s easy to relish in the passive income and just let things go. More than one marketer has told me they built up a nice affiliate income. but got distracted and complacent no longer have that business. You can’t stop creating. If you want to grow, try outsourcing parts of the business that you’re too busy for or don’t really enjoy. Continuously post and stay on top of the trends. Pay attention to what’s going on in your niche. and stay a thought leader on your topic. Have a great follow-up sequence– Don’t leave people hanging after they sign up for your list. You want them to really get to know you. You also want to earn some money. Depending on your niche, you can send the introduction email with their freebie, one or two helpful, informative emails, a soft promotion, then lead up to a hard promotion. Let this run for whoever signs up for your list– that’s money on autopilot! Writing product reviews is a wonderful way to earn money as an affiliate. Product reviews are an in depth way to affirm your position as a thought-maker in your niche, secure search engine traffic, and make good money as an affiliate. You’ll incorporate your knowledge of writing pre-selling content when you write fantastic product reviews. 1. The first is based on products you actually review. This means you have the product in hand or on your screen and can give the reader a complete overview of what the product is or contains. This is the ideal kind of review you write when you’re talking about a digital product. 2. The second is where you act as a reporter–reporting on the reviews or descriptions others have written. This is definitely second best, but still very useful— particularly if you’re reviewing products that would not be practical to have yourself. This is typically more common when reviewing physical products. The type of review you choose to write definitely depends on which niche you’re in. Check out some of the product reviews your competition has put out there. This can give you an idea of the typical product review style for your niche. It will also give you the opportunity to brainstorm other ways you can try to do even better. In general, you should go fairly in depth with your product review. You may want to take extensive notes on the product on your planning day, and then write the actual review on one of your content days. Structure it however it works for you. Extensive reviews can be completed in a couple of 60-minute time blocks. Shorter reviews can be finished in just one 30-minute block of time. Get a feel for how long it will take you, so you can set aside the right amount of time. As always, your buyers are much more interested in the benefits of the product versus the features. The features of a product are just fine to list. But they aren’t what is going to convince the reader to buy. What’s really the heart of the product? What are the problems or specific problem the product will solve for them? Figure out the benefits that will really win people over. While you should definitely emphasize the positives of the product, it’s okay to point out the negative. In fact, it can even boost sales when you point out the negative. Your review will stand out because many marketers have a bad reputation for glossing over anything bad and over-emphasizing anything good, yes, they may even outright lying. Be very honest and point out anything you feel is missing in the product (you can even use this as an excuse to create a bonus product that addresses the need, making it an easy decision for people to buy through your link). Along with reviewing the features and benefits of the product, you can also use elements of storytelling and elements of persuasion to move the reader through to the sale. Draw them in and get them interested by sharing your story or a related story. Also, consider comparing and contrasting competing products. Many people will read your review while they’re in the midst of comparing these products on their own. You can save them a step and essentially close the sale by doing the comparison for them. Remember–never recommend a product if you don’t actually like it. You aren’t going to like every product you review. With that said, you absolutely can still write about products you don’t love. You can even still include your affiliate link with a negative review, unless you find something absolutely despicable about the product. Some people will read and appreciate your honest review and go on to buy anyway. You can also provide a link to an alternative product you think will be a better fit. Test and track your results when trying both of these methods. You’re a marketer, in the end, and you’ve given your honest review. Don’t be afraid to ask for the sale and give a great call to action. Also consider including pictures linked with your affiliate link. Include strategic text links. Having affiliate links in more than one place can boost conversions. Consider adding updates to your review over time, especially if it’s something you’re using or putting into action yourself. Some reviewers are extremely thorough and do a series of reviews on the same product. These review posts may get a lot of interested traffic and really dominate in the search engines, because there’s so much interest in a more in-depth, real-time review. Save this for products you really care a lot about, but it is a great technique that can be a lot of help to your readers. The secret of writing incredible product reviews is being honest, thorough, and persuasive. Using these elements in combination will help you sell much more in much less time. Writing product reviews is perfect for you as an affiliate marketer, because these earn for you even in your sleep. You can post about your review on your social media accounts, email your list about it, and find a following from search engine traffic. Imagine how wonderful your income can be once you have dozens of these reviews on your blog, earning for you on autopilot. 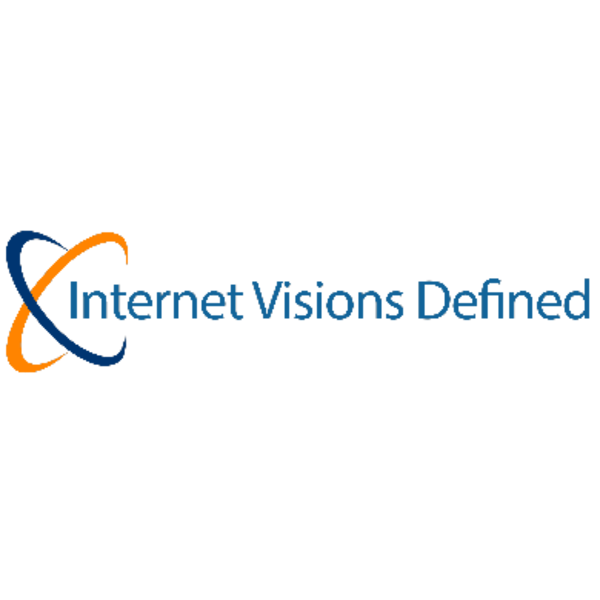 © 2008 - 2018 Internet Visions Defined. All rights reserved.